Water delivery has begun. As a reminder, our Water Status Map has been created for customers to stay informed of where their water is. 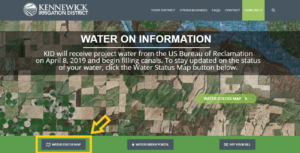 To get to the map, go to our website and click on the “WATER STATUS MAP” button. 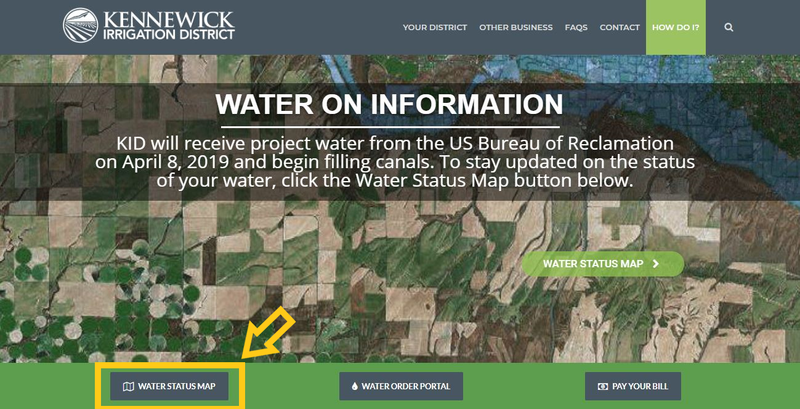 Once you see the map, type your home address into the top left search bar, click on your property and your estimated water delivery date will be displayed. As the water season starts, damage caused during the winter months is discovered. Please remember to contact our Customer Service Department at 509-586-9111 to report these issues and our crews will work as quickly as possible to make the necessary repairs.